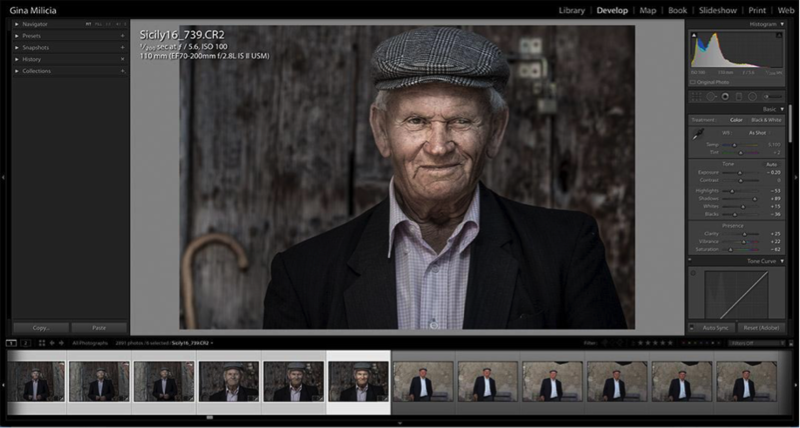 This simple little tip will make a big impact on how you view your images. Above: When working in the Develop Module in Lightroom tap “L” on your keyboard once to dim the filmstrip and tool panels around your image. Above: Lights out mode (Dimmed) removes distractions but still lets you view filmstrip and tools. Above: Tap on “L” again to completely black out the area around your image. Blacking out the area around your image removes distractions and makes it much easier to judge brightness, contrast and colour tones.